Loft conversions are a fantastic way to add a whole new room to your property, without eating into your garden space. In fact, with a loft conversion you can make the best use out of otherwise wasted space. However, your loft conversion could be a tight squeeze, and you need to make the most use out of the available space as possible. Here at Pinnacle Loft Conversions, we are loft conversion experts. As a result, we have produced this guide to help you maximize space in your loft conversion. Although this tip doesn’t physically make your space any larger, white paint can make a room feel bigger. And in a loft conversion, it is a great colour to use on the walls and the ceiling, for a lighter, airier feel. Whatever the size of your loft conversion, a suitably sized window can let in more than enough natural light to help transform your room. 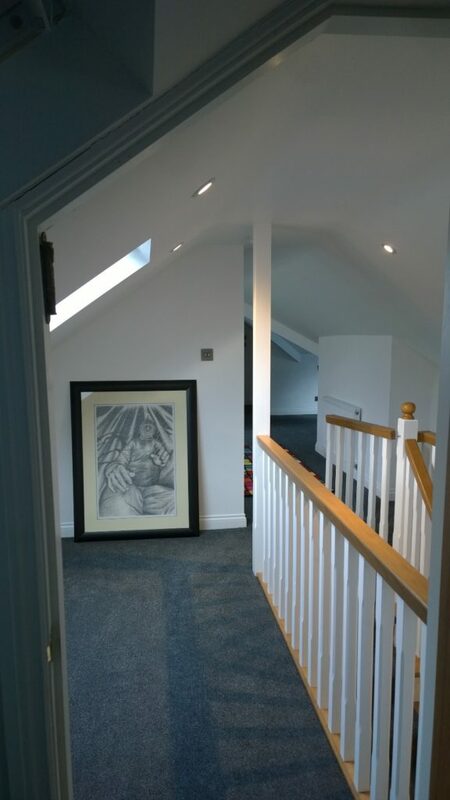 Natural light can make your loft feel larger, and this can add to the sense of space in your loft conversion. While the first two tips create the illusion of space, using slimline furniture is a sure fire way to maximise space in your loft conversion. Bulky furniture isn’t a great option if you only have a small space, no matter what your loft is used for. If your loft conversion is a home office, go for a 3/4 size desk instead of full size, and use slimline bookcases. This way you’ll have more floor space to stretch your legs and take a computer break. If your loft is a guest room, choose slimline wardrobes and nightstands, to take up less space. And you can even consider using a fold out sofa bed, so that when you don’t have guests, your loft is still a usable space with a good amount of floor space. For more information or to discuss your potential loft conversion, get in touch with the professionals today, here at Pinnacle Loft Conversions.